Extra Virgin Olive Oil made from cold pressed Arbequina and Empeltre olives, both typical from the Mediterranean fields of the Historical Bajo Aragón (80% minimum proportion of Empeltre and 20% maximum of Arbequina). Empeltre is an autochthonous olive variety from our region (that is why we commonly call every olive tree in our region Empelt). They are very productive, of early fruition and delicious black olives. 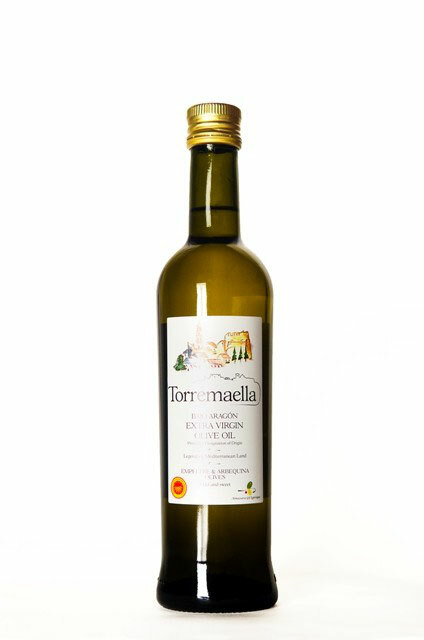 From these olives we obtain a clean, shiny, golden olive oil of a smooth, fruity and nutty flavour. This flavour blends with the vibrant scent of the fresh leaves from the Arbequina olive tree, resulting in a delicate very well-balanced extra virgin olive oil. Its smoothness and delicacy make it the healthiest choice for your daily meals. Every unit is hand-bottled in our mill. Available in 250ml, 500ml and 750ml dark glass bottles; also in PET plastic bottles of 1l, 2l and 5l. 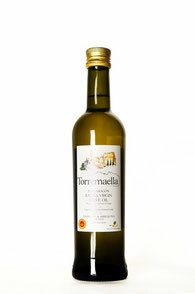 Delicious Extra Virgin Olive Oil, cold pressed only from Arbequina olives previously harvested from our proprieties. 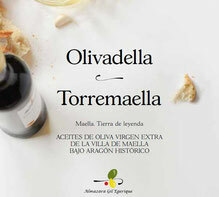 These olives are small in size and of early ripeness, with an excellent culinary recognition. 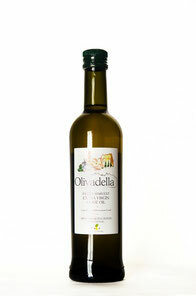 This fine Extra Virgin Olive Oil is bright green with smooth golden nuances typical from the Arbequina variety. It tastes fruity, with an intense but delicate nutty and fresh leafy flavour. 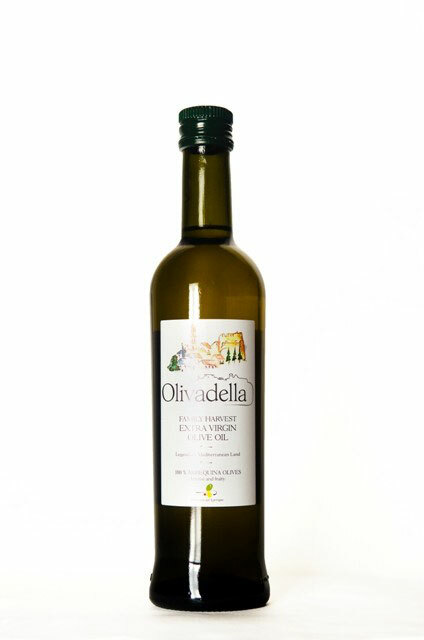 Olivadella offers excellent organoleptic qualities, enhanced by artichoke and green olive nuances. 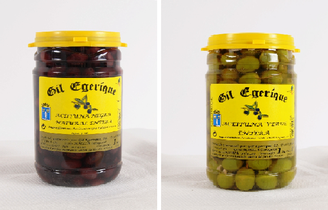 ´Black Aragón´ and ´Green Caspe´ olives are among the most tasty and most treasured olive varieties of Spain. In order to preserve their exquisite flavour we follow the traditional recipe from Bajo Aragón: we simply cure them in salty water without any preservative or colorant. Very rich in vitamins, these olives are the healthy Mediterranean touch that will enhance your salads, pizzas, pasta dishes and appetisers. They are the classic ´aperitivo´ around our area and for many years constituted the central ingredient of the local diet.